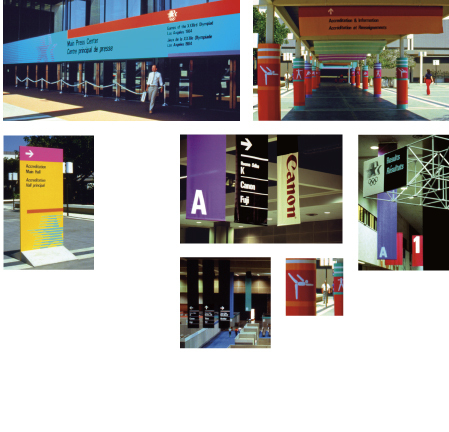 A colonnade of graphics and banners defines the path and celebrates the event. Large swaths of color highlight the entry. Interior wayfinding is facilitated by wall-mounted signs at key intersections plus overhead banners visible from a distance.